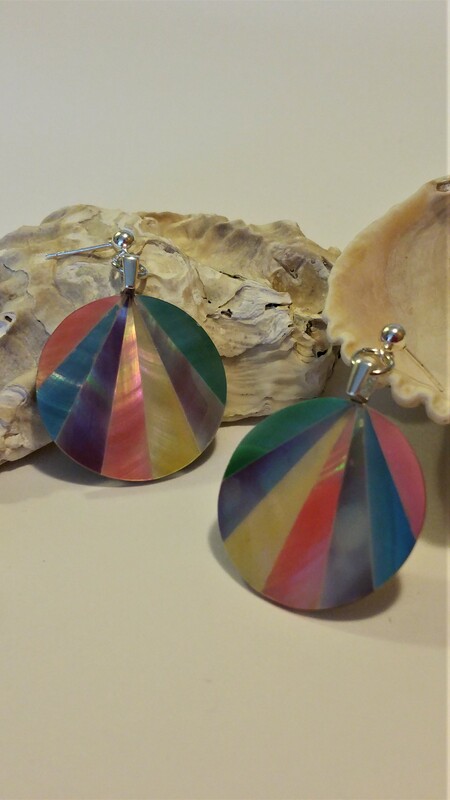 Ever find a big, bright pair of 1980’s earrings and wish you had the guts to wear them? You could just woman-up and wearing those earrings as is! Or you could remake them into something a little more modern but just as fun! Enter the post-to-pendant tutorial! Today, we are going to turn some giant post earrings from the ’80’s into pendants that can be hung as earring or on a necklace! Let’s get started! The first step is to find some big ol’ post earrings, preferably at your local thrift store. Note: The lighter the earrings, the better they are for earrings. If they feel heavy, they are best for necklace pendants. You will be adding additional weight when you create the pendants, and you don’t want to make something too heavy for your ears. To get started, remove the original earring post backings by using pliers or wire cutters if necessary. 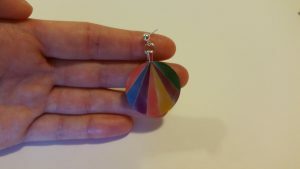 (I have found that soaking the earrings for a few minutes in soap and water can soften the glue and allow the backings to be pulled off.) Next, assemble your supplies: earring bails, earring posts with loops to hang beads from, supportive earring backings, jump rings, and glue. (I used E6000 Jewelry and Bead. Now it’s time to glue a jewelry “bail” to each earring. 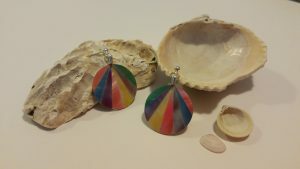 The bail has a flat surface that is glued to the earring and a loop that then allows the earring to be hung as a pendant. Note: The bails that I found at the craft store were bigger and heavier than what I really needed. The addition of these bails made my pendants heavy. I later discovered that you can buy “earring bails” that are smaller and lighter. I found those my local bead store and also online. (Here is a link to an example I found on Etsy.) When I do this project again, I will use those smaller bails, but this is a picture of the large ones I used. Next, it’s time to glue the bails to the earrings! The paper plate made a good work surface, while little pieces of foil added support under the earrings while the glue dried. According to the glue directions, I let the glue dry for at least 24 hours before moving to the next step. If you wish to make a necklace, the pendants are now ready to hang from a chain or cord. If you want to make earring, we need to attach the pendants to the earring backings using jump rings. 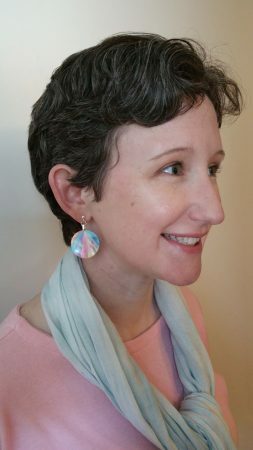 Hooray, we now have earrings! I love how beachy these look! 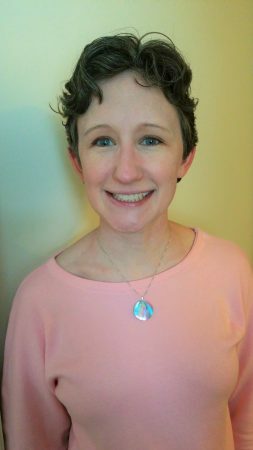 I tried wearing the pendants as earrings and on a necklace!